Boycott "Black Friday!" Solidarity with Striking Chinese Workers! This Black Friday, as millions of Americans scramble to find the "best deals" on consumer goods, thousands of Chinese manufacturing workers are striking to demand livable wages, job security, and other basic rights. 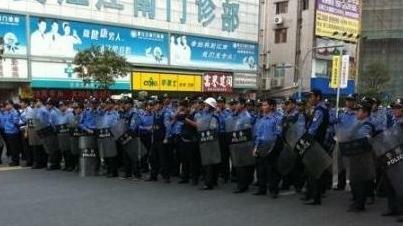 In Huangjiang alone, 8,000 striking shoe factory workers took the streets Thursday, blocking roads and standing down lines of riot police. Their factory, owned Yue Yuen Industrial Holdings, is a major provider to the sportswear company New Balance.